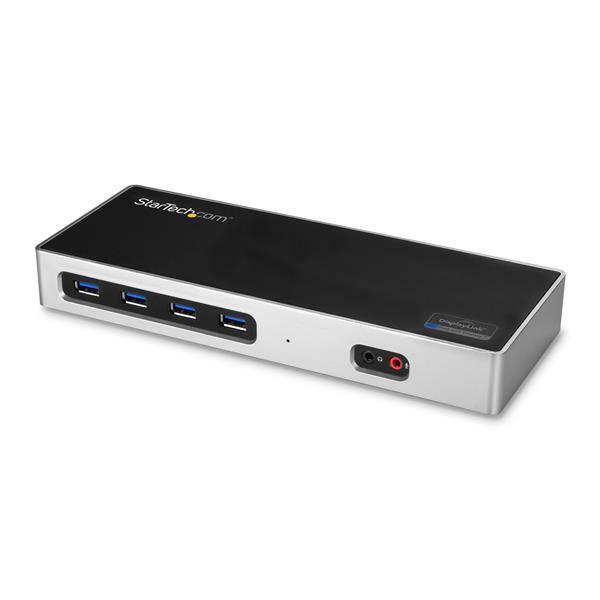 This dual-4K docking station offers wide flexibility in setting up your workstation, working with both USB-C and USB-A port laptops and supporting multiple combinations of Ultra HD 4K DisplayPort and HDMI monitors. 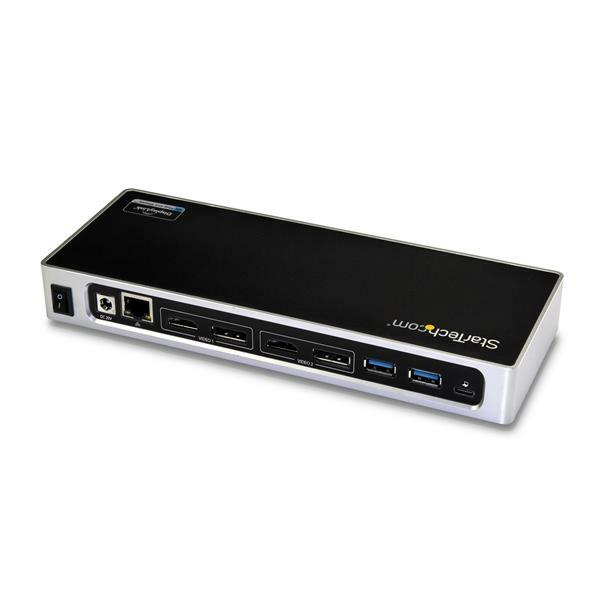 Ideal for highly detailed graphics applications, this dual-4K 60Hz docking station enhances your productivity by expanding the display capabilities of your laptop across two Ultra HD 4K monitors. 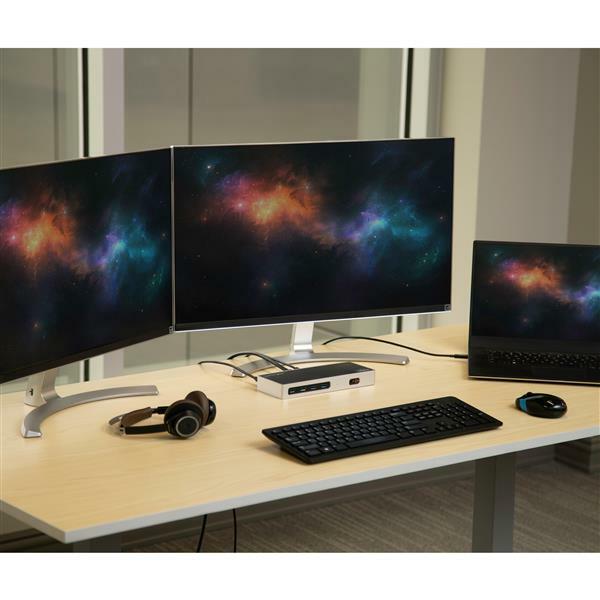 The laptop docking station works with DisplayLink® to support high-resolution monitors, enabling two full 4K 60Hz displays from a single USB connection. The USB 3.0 docking station supports USB-C and USB-A enabled Mac and Windows laptops. 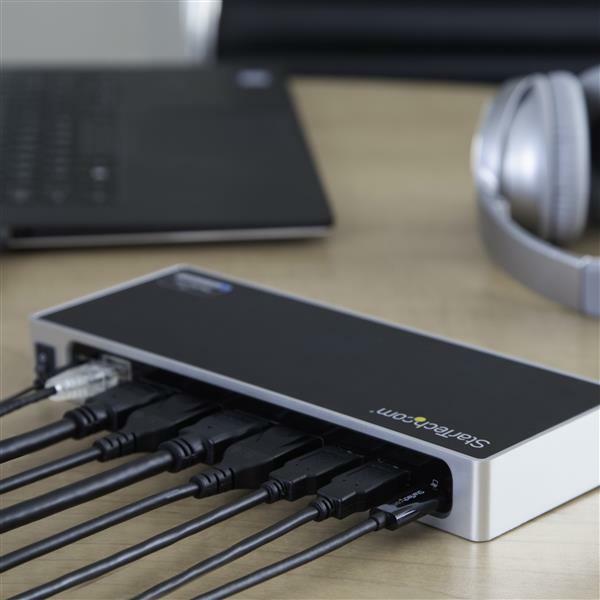 This means you can connect newer USB-C or Thunderbolt™ 3 laptops or extend the life of legacy USB 3.0 (Type-A) laptops. 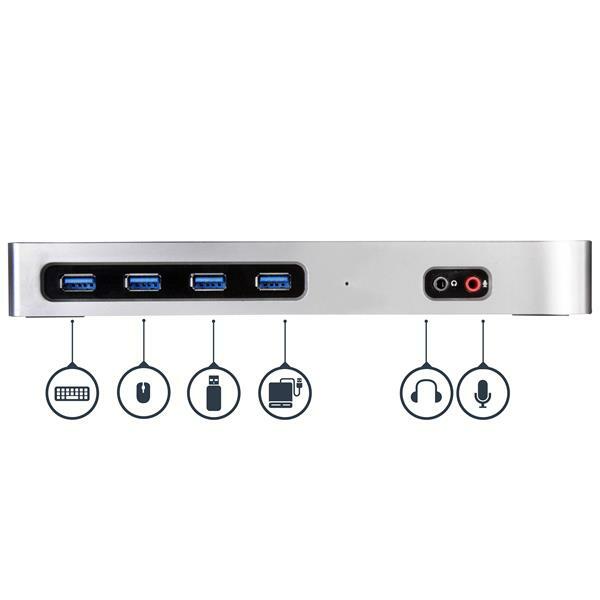 This USB-A & USB-C dock lets you transform your Mac or Windows laptop into a full workstation with six USB 3.0 (Type-A) ports, a Gigabit Ethernet port, and separate 3.5 mm audio and microphone ports for multiple audio connections, all using a single cable. 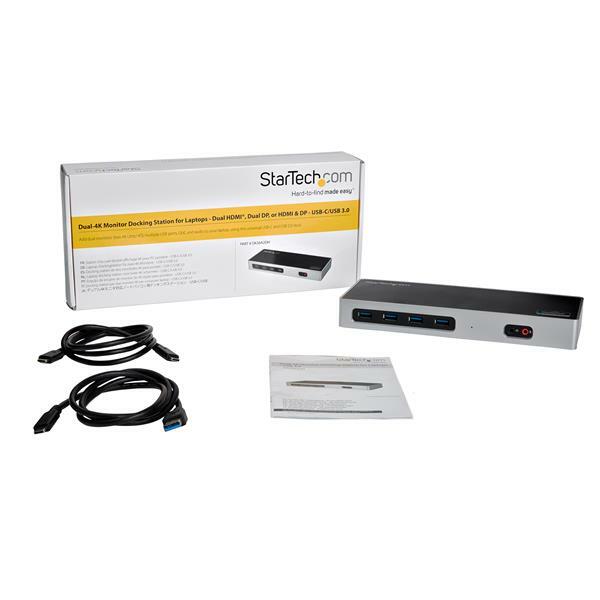 To add laptop charging support for USB-C-equipped laptops, simply add the StarTech.com HB30C1A1CPD* USB to USB-C adapter. DK30A2DH is backed by a StarTech.com 3-year warranty and free lifetime technical support. *Note: USB-C type power adapter is required in conjunction with the HB30C1A1CPD to charge a USB-C laptop. A USB-C to USB-C cable and a USB-C to USB-A cable are included. 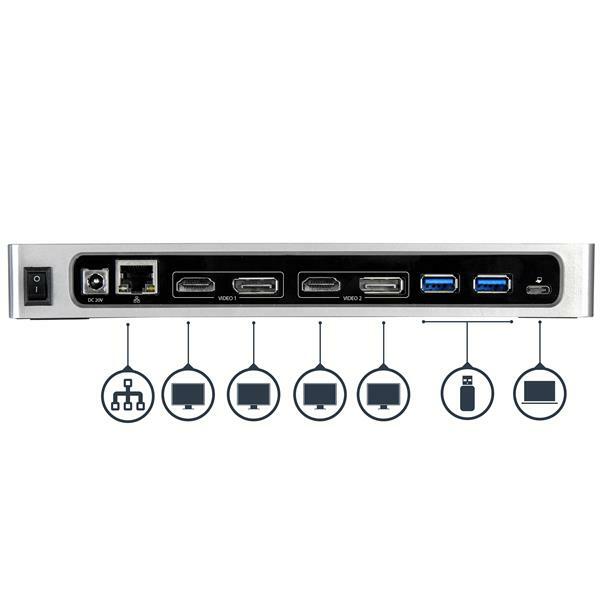 System and Cable Requirements A host laptop with an available USB-C port or a USB-A port.